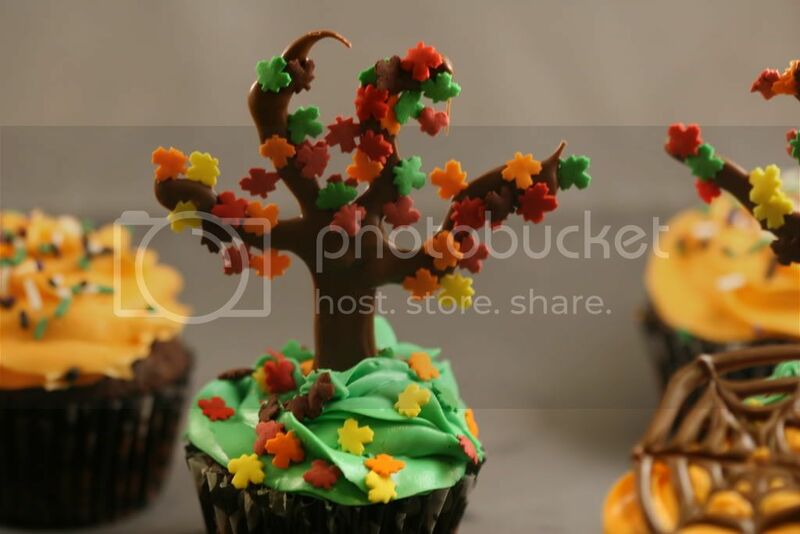 How cute is this cupcake tree (or tree cupcake)? It's from Crazy Delicious Food, where you can find out exactly how to make it in their tutorial (just five steps), via Party Cupcake Ideas, where you can get inspiration for 24 other fall themed cupcakes! Very creative - the leaf sprinkles are perfect!